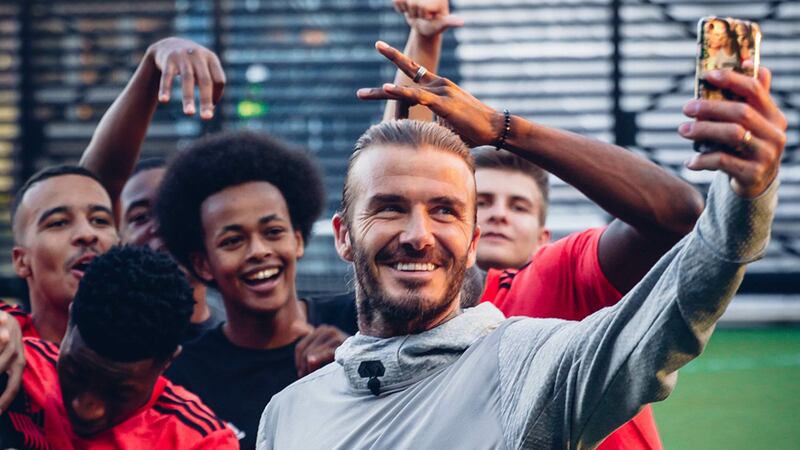 At the release event for David Beckham’s new Adidas capsule collection, Tango Squad London was surprised by a guest visitor — Beckham himself. The legendary midfielder joined the squad for a pickup match, showing that he’s still got it in the process. 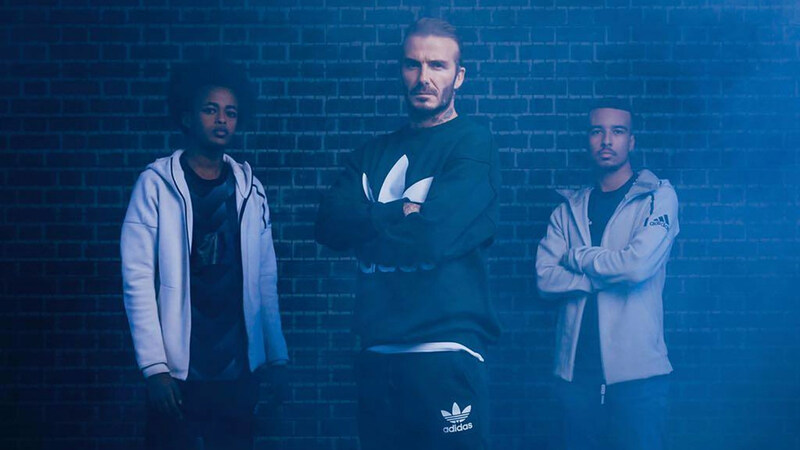 The Adidas David Beckham capsule collection, consisting of a street, cage, and stadium edition of an updated Predator Accelerator, was announced last week with plenty of fanfare from football enthusiasts and players alike. Similar to the Predator Precision reboot released in September, the Accelerator model features a classic design with updated materials and technology. To launch the collection, Adidas UK invited the influential and charismatic Tango Squad London, which consists of some of England’s best young ballers, to test the cage boots in game action. 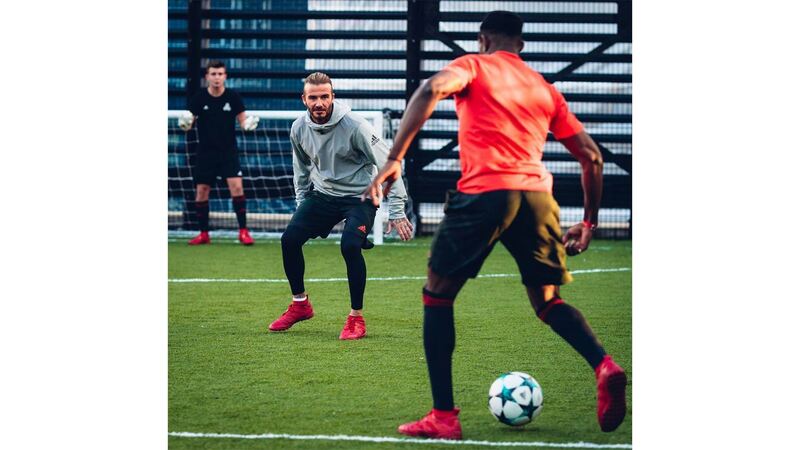 What they didn’t know was that they would be joined by Beckham himself for a quick short-sided pickup match. 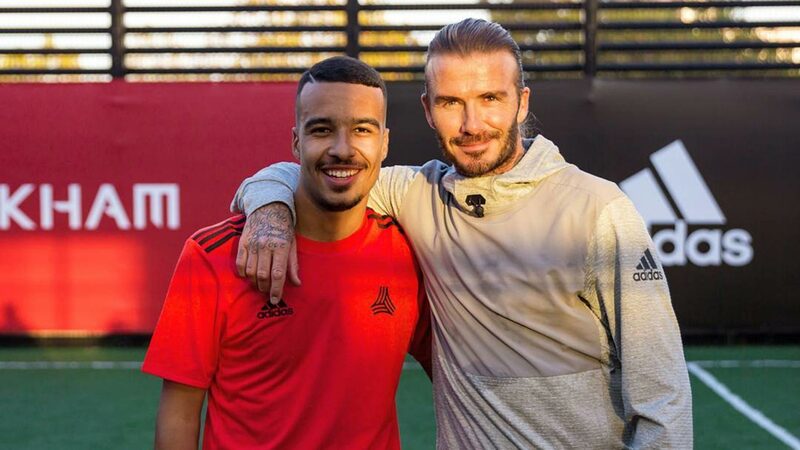 Lucas Siqueria posing alongside Beckham. 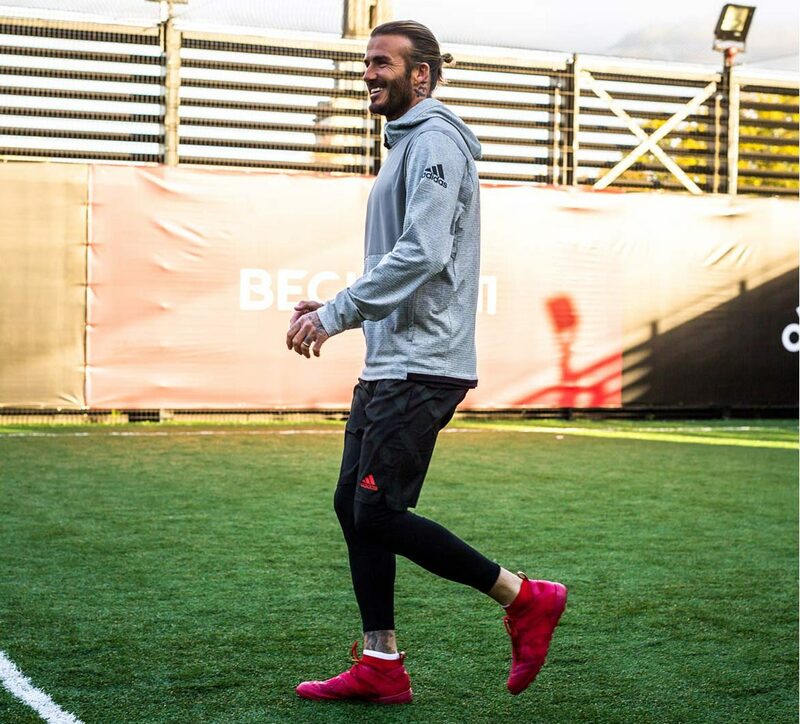 The original Accelerator model was released in 1998, and to this day Beckham claims it as his favorite boot that he wore during his illustrious career. 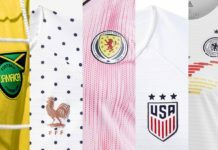 As such, Becks played a large role in designing the capsule collection, with each boot dipped in a solid colorway — all-white for the stadium, all-red for the cage, and all-black for the street — the three colors that meant the most to him during his career. 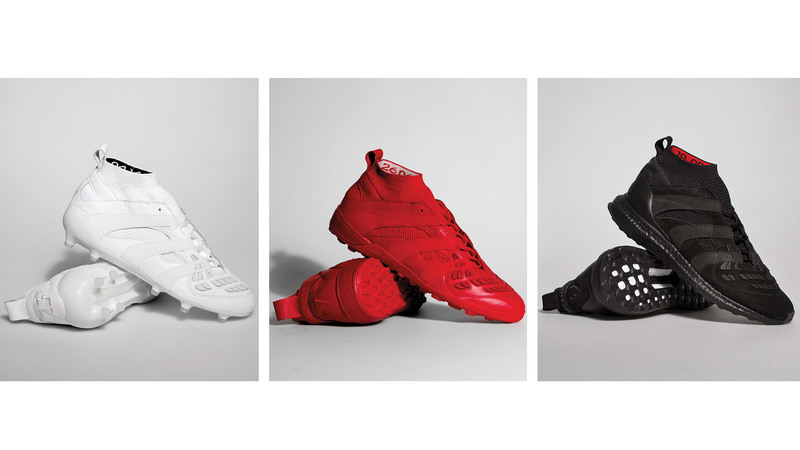 The collection will release in limited numbers on November 20, and you can pre-order a pair online at Adidas.